I was flying back from giving a presentation in Vancouver last week and browsed through the financial publications at an airport newsstand, scanning to see what passes as mainstream advice these days. I spotted Money Magazine’s May issue and saw an article titled “5 Ways to Invest if You’re Worried About a Crash.” My curiosity was piqued—surely they’ll mention gold… right? I wasn’t holding my breath. This publication has been a wonderful contrary indicator for gold—an issue in December 2015 actually claimed Lego sets were a better investment than gold, for example, and it marked, almost to the day, the very bottom of the gold bear market and the perfect time to buy. I’m convinced this magazine will also give us a clear sell signal (“Buy Gold Now!” or some such headline) AFTER the price has already skyrocketed. I guess I should thank them ahead of time. Okay, surely this has got to include something about gold. 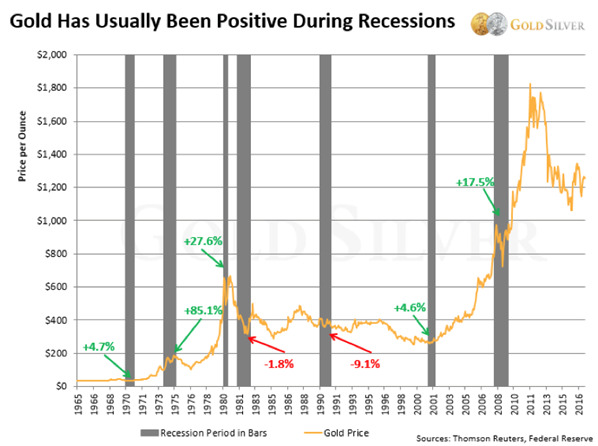 I know from past issues that they don’t like precious metals, but they can’t possibly ignore what history has shown. I was wrong. Gold is not mentioned once. The closest they get is suggesting “commodities.” And their recommended pick in that category was for a natural resource fund, whose top 10 holdings include exactly zero exposure to precious metals. As bad as that was, it’s what I read next that stunned me. All four of their other recommendations were to—I’m not kidding—buy more stocks! I actually laughed out loud; my seat mate glanced over at me, concerned about my sudden outburst. “Steady Eddie Stocks.” The idea here is that this class of stocks is less volatile. But the fund they recommend “lost only about two-thirds as much as the market in down months over the past five years.” And one of the fund’s top holdings “fell only about half as much as the S&P 500” in the 2008 crash. I must be missing something here. I want to PRESERVE my retirement fund, not just be able to say I lost less than you. This is insulting. “Bargain Basement Stocks.” Hey, I love buying undervalued stuff, and that’s exactly what we’ll do when we exit the precious metals sector someday. But low P/E stocks got a whole lot lower in the last crash. Cheap stocks still decline significantly in a crash and only add to your equity losses. This is hardly a way to hedge—buying stocks in anticipation of a stock market crash is the opposite of a hedge. Hey, that’s great news! As long as I don’t lose as much as the S&P 500 I’m a winner! How many editors at Money Magazine does it take to change a light bulb? Eleven. One to hold the bulb, and ten to turn the house. Look, their four stock categories would theoretically lose less than sky-high-PE growth stocks, and in that sense would blunt another 2008-like crash. But losing a little bit less shouldn't be the goal. Even if these recommendations fall only 30% instead of 50%, your stock portfolio would still lose over a quarter of its value and would take years if not decades to recover. Their shield has a few holes in it from prior battles they’ve lost. For starters, the author and editors should show why it is important to own uncorrelated assets if you’re trying to protect against a crash. It doesn’t take much investment prowess to understand the fact that all stocks are basically the same asset class. In other words, you want an asset class that tends to rise when others fall. It doesn’t do much good if all your investments rise and fall together. 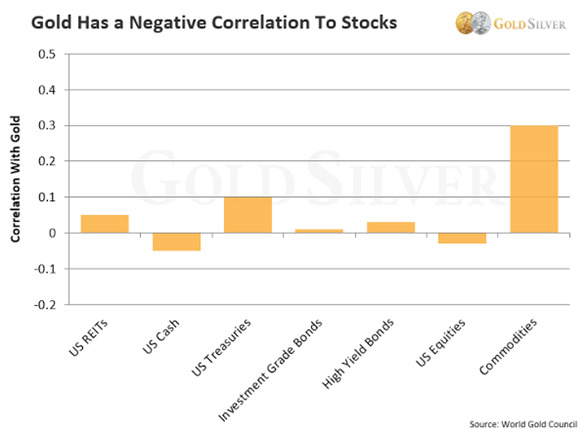 History shows gold can provide that inverse relationship. 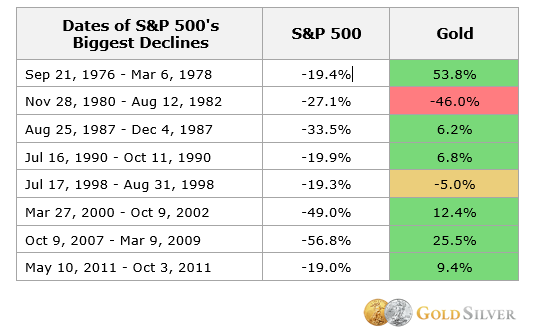 Gold has usually risen during the biggest stock market crashes over the past 40+ years. There have been some huge financial crashes throughout history, and investors who didn’t get out ahead of time lost a major portion of their portfolio value. In NO case did sound advice include buying more of the same asset class. When the Tulip Mania started to crash in 1600s Holland, was the best advice to buy a different colored tulip? After accounting for inflation, the recovery periods for stocks have all been measured in decades. So even when the nominal price of the S&P eventually climbed back to its prior peak, it had taken so long that that amount of money would no longer buy as much. Your brokerage statement might show a gain, but in real terms you’d still be underwater. 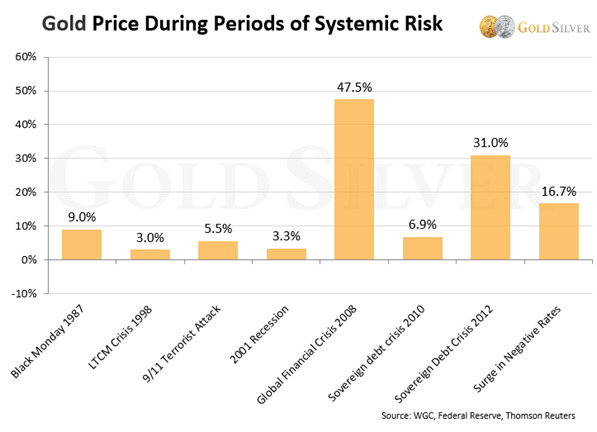 And let’s not forget that gold does well not just during stock crashes but all kinds of systemic risks. NONE of this is mentioned. “Buy stocks that will fall less” is some of the worst financial advice anyone could give. It should be abundantly clear to any investor that you don’t buy more stocks or different stocks or defensive stocks or cheap stocks to offset a stock market crash. ALL four stock classifications they recommend lost money—a LOT of money—in the last crash! 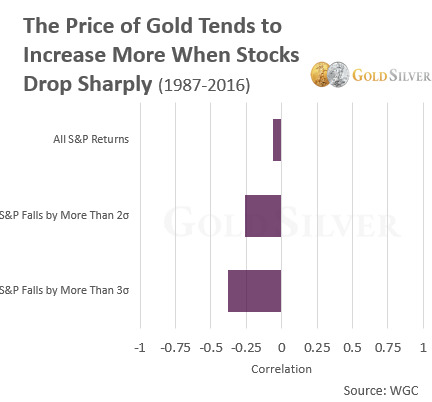 Yes, gold hasn’t done well the last few years and equities have. But even they acknowledge the markets are teetering and volatile. And in the big picture, no trend lasts forever. Mike Maloney’s exhaustive research shows a major shift is coming that will make owning common stocks foolhardy and owning gold wise. Gold will even protect the editors at Money Magazine. Even if they buy in secret.